Virginia Frazier (Gina) founded Deva Industries, Inc. in 1991 and established an international client base providing organizational development consulting and custom technology solutions. She created and brought to market several proprietary software applications to include a change management system (DevAligntm), a proposal management system (ProPropWeb), and a pattern design system. She also helped clients by developing operational infrastructures; conducting operations analysis and improvements; developing custom software applications; directing IT operations; developing technical documentation; developing and presenting training programs; and planning. Recently, she has been focused on applying her skills towards Deva For Good. 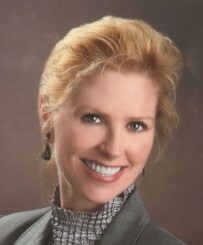 Prior to founding Deva, she served in technical and executive capacities with roles including management of financial, contracts and human resource operations in the Defense contracting arena; and developing and presenting computer training programs for US Government and military. She also was awarded a Fellowship with the U.S. Department of Commerce, International Trade Administration, where she conducted research and represented the Soviet Division at congressional hearings. Prior to that, she received her commercial pilot license and flew privately throughout the United States. Ms. Frazier received her Bachelors Degree from the University of Florida, and her MBA from Thunderbird, The Garvin School of International Management; with continuing studies at the University of Vienna, Austria and the Pushkin Institute in Moscow, Russia.